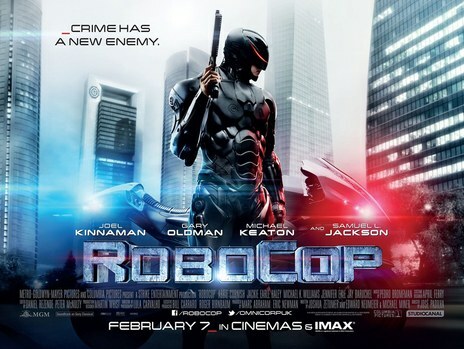 If there was one film I wasn’t looking forward to, it was this remake of the 1987 Paul Verhoeven sci-fi classic, Robocop. Like the reboot of Total Recall a few years ago, the one thing that ran through my mind was, what was the point? Why did we need a remake? Well, I went in with massively low expectation and I have to announce I came out surprised, nah, shocked! While it doesn’t hold a light to the original, it’s not as bad as it could have been. In fact, it was much better than I even imagined. Multinational conglomerate OmniCorp, run by entrepreneur Raymond Sallars, is desperate to beat a bill spotting robots from patrolling the streets of America. The decision being upheld by a Senator who believes that letting automated machines with no conscience run the streets as dangerous. Officer Alex Murphy, a detective for the Detroit Police, is involved in an undercover operation to stop a vicious gun runner. Injured to the point of death, Murphy becomes the prime suspect in a trail to put a human into a machine, making him Robocop. What OmniCorp don’t realise is that by having a human inside their machine, there’s one thing they cannot control. His memories, his yearning for vengeance and his soul. What this reboot manages to do where Total Recall failed, is that it hasn’t tried to play around with the formula that worked in the first place. Director Jose Padilha obviously knows the original very well and by having the writers of the 87 hit on board, they have attempted to take the main elements of the first film and included them here. So we get the satirical look at the media’s manipulation, corporations wanting to rule the world and the question: Can a human really be controlled just because he has a metal suit? The violence is still evident (and a big question mark hangs over the classification of 12A. It gets quite graphic in places) but we don’t get the bloodfest that made the Verhoeven film so notorious. What we do get are some very long scenes that don’t involve action. In fact, if you go expecting 2 hours of non-stop action, you may be bitterly disappointed. This is a war of words among big business and the little people, mainly Raymond Sallars’ lust for power and the moral dilemmas of Doctor Dennett Norton, a wiz at creating artificial limbs for amputees almost blackmailed into helping Sallars with his creating of Robocop. The interesting element is that it plays out more like a remake of Frankenstein. The doctor’s good intentions in creating a monster. Only difference is that the monster can be controlled, not only by the men in suits but by himself.This is where the film makes a slight improvement on the original. This time, the human element is in the forefront. Murphy is married and with a young kid and he is troubled by their distress with the events that he seeks revenge on the man who put him in this situation, as well as those who helped set him up and longs to put their safety first. There’s also reference to The Tin Man in The Wizard Of Oz. 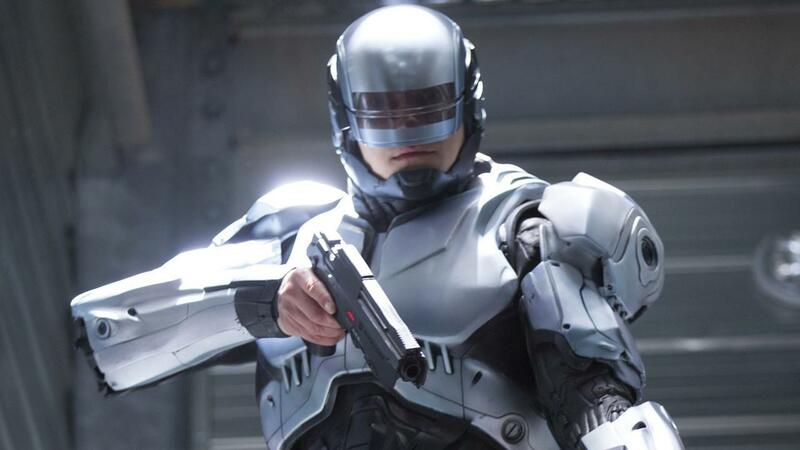 Murphy physically has no heart and yet he is full of humility and where Peter Weller’s Robocop was a killing law enforcement who found humility by the end, this Robocop has it from the start and it makes for a more interesting character. Padilha has also done a smart thing by filling the screen with first-rate actors. Gary Oldman brings a touch of class as Dr Norton while it’s always good to see Michael Keaton on-screen as the scheming Sallars. When the pair are together, the film lights up. Samuel L. Jackson, as outspoken news commentator, Pat Novak, is a hoot. So how does Joe Kinnaman hold up as the metal lawman? Pretty good. Considering he spends most of his time under a suit with just his face showing, he pulls it off well. Fans of the original will probably hate ever second of this but if you go in with an open mind, it does a reasonable job. It is a little too long and there is still a part of me that wonders why we needed it in the first place but as far as pointless remakes are concerned, this is miles better than most.